Disruption. Not the first thing that comes to mind when you hear the name Telkom, a company with a reputation for acting like an anticompetitive, obstructive monopoly. But disrupt is exactly what Telkom is now doing in a market where it’s a distant follower — mobile telecommunications. 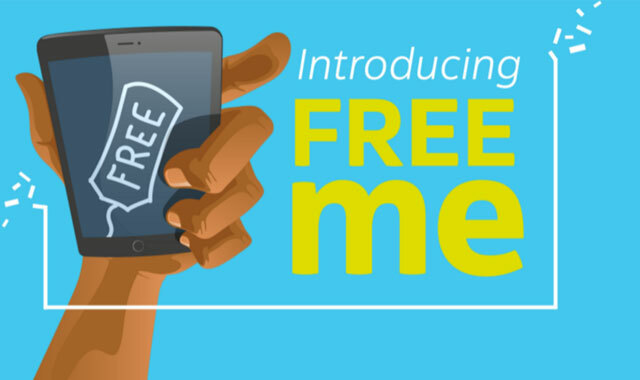 This week, the company started rolling on new mobile packages called FreeMe, which are attractive not only due to their prices, but the way that Telkom has focused on the customer value proposition. When cellular services were launched in South Africa in the 1990s, few people (including those at the two mobile networks, Vodacom and MTN) could have predicted how successful the take-up would be, and just how incredibly profitable selling voice calls could be. For 15 years, MTN and Vodacom profited enormously on the back of a massive demand for communications services. Some of that profit was due to the parlous state that government and Telkom had left fixed-line communications in. The liberalisation of the fixed-line industry was botched so badly that Telkom was able to continue acting like a monopoly with little or no sanction, and mobile (cellular) voice connections became the norm. Unhampered by a weak regulator (Satra and, later, Icasa), the two large networks weathered the introduction of a third player (Cell C) by rigging the mobile interconnect rates, making it nearly impossible for a smaller player to reach scale profitably, and all at the cost of the consumer. Only recently have we seen those interconnect rates reduced, and the start of real competition in terms of call rates, driven by Cell C and, to a lesser extent, Telkom. But we’re still seeing voice revenues as a major focus for the large operators, with all consumer mobile packages focused on the number of minutes included. And there is a reason for this — voice calls are very profitable and they’re billed by time regardless of how network efficient they are, and they’re uniformly expensive. The thing is, most consumers don’t value voice calls as highly as the networks do. The shift to smartphones has driven app-based usage, and what most people want is a ubiquitous, seamless data connection. The growth in data utilisation on all networks has been phenomenal, despite the high prices (mobile data bundles are typically priced 50 times higher than fixed-line data per gigabyte, and out of bundle data on MTN and Vodacom can cost as much as R2 000/GB — more than 600 times the price of data on DSL or fibre). The growth in data usage is indicative of the usage patterns of mobile products: social media and instant messaging (some with VoIP capability) application usage require always-on data connectivity. And that is exactly where Telkom has focused its new product offering. 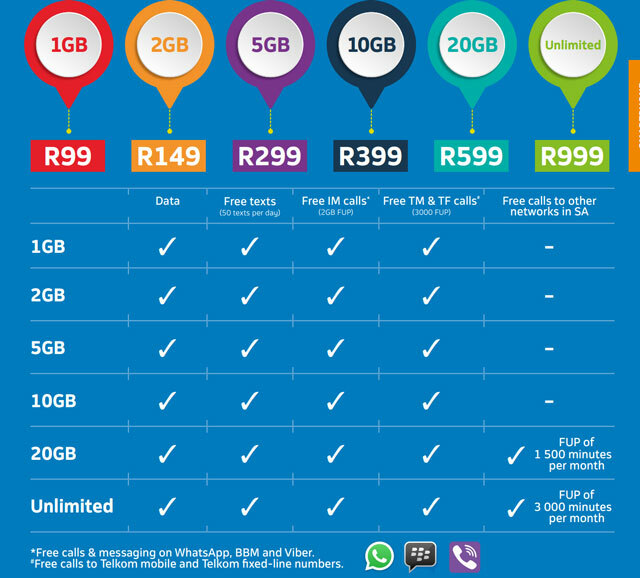 Eschewing voice minutes as a major component of these new packages, Telkom has instead made sure that the data bundles are aggressively priced (for mobile) and that certain instant messaging and VoIP applications are zero-rated. In addition, the out-of-bundle data rates (in case you deplete your bundle before the end of the month) are not punitive — even if they are still expensive by fixed-line standards — at around one seventh of those offered by the large networks. Telkom is also offering (although it isn’t easily visible in the marketing) month-to-month contracts for consumers that don’t want to finance a handset. 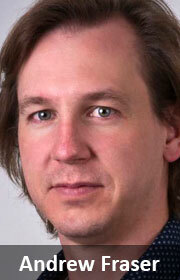 Telkom’s approach is not happening in isolation. There are a number of mobile network operators in various countries that are disrupting the status quo of the large operators. Typically, these disrupters are smaller, with limited market share, in markets dominated by one or two major players. T-Mobile, the mobile network owned by Deutsche Telekom in the US, started a programme of disruption in 2012 when it branded itself as the “Uncarrier”. With a limited market share, no access to the bestselling device in the US (Apple’s iPhone) and no 4G service, T-Mobile was struggling to differentiate its offerings from the bigger networks. Verizon and AT&T were much larger and better established, and Sprint had some compelling offerings. By repositioning itself, T-Mobile was able to take advantage of the simmering discontent of many US mobile subscribers. It positioned itself as the network that offered simplicity, fairness and value to consumers. Over a two-and-a-half-year period, T-Mobile introduced the most consumer-friendly offerings that had been seen in the US. It simplified its offerings, doing away with the arcane packages, expensive overages, data caps and long-term contracts that are the norm in the mobile industry. It made purchasing a handset more transparent in an industry that was famously opaque about exactly what consumers were paying for. T-Mobile allowed trade-ins and upgrades on handsets up to twice per year; it introduced global data roaming at no charge; it packaged free data with tablet devices for life; it offered support to consumers to end their contracts with other carriers by subsidising so-called “early termination fees”; it offered data rollover for unused 4G data for up to 12 months; it offered price guarantees on contracts (no increases for the period of a contract); it offered zero-rated data for music services; and, from November 2015, offered zero-rated data for certain streaming video services. What these consumer-friendly policies delivered, along with an aggressive build-out of network and new handset partnerships, was an increase in subscribers by 22m in the first two years; industry leading statistics in post-paid customer acquisitions; and a net profit of US$297m in 2015 — three times higher than in 2014. T-Mobile overtook Sprint as the third largest mobile network in the US. The increase in subscribers has led to a massive investment in infrastructure and T-Mobile now covers 200m people in metro areas, with the highest customer satisfaction rating for its 4G/LTE service. In France, a slightly different disruption is taking place. In 2012, Free.fr launched a mobile service, suitably named Free Mobile. Free.fr up until that time had been a triple-play Internet service provider, offering home connections (fibre or copper), voice over IP and TV over IP through a set-top box. This triple-play service was priced competitively at under €30, and Free was well known for its in-house development of both software and hardware. Atypically, customer support was crowdsourced from within Free’s own subscriber base, and investment in traditional marketing was limited (Free leverages word-of-mouth of existing subscribers). Billing was kept as simple as possible (effectively the company only sold a single product), so back-office support requirements were low. France up until that time had been an expensive country for mobile, with three firmly entrenched operators, a relatively weak regulator and a government easily lobbied by the partially state-owned network, France Telecom. Mobile voice charges in France were typically around 40% higher than in Germany or the UK. Average revenue per user for the networks was typically €10 to €15 higher than the UK and Germany. Free.fr entered this market with a very simple strategy: uncouple the device from the mobile subscription, and offer the best possible value in call bundles. The company also approached the roll-out of their network differently. Not having a legacy GSM network in place, Free.fr was able to roll out an IP-based, open, next-generation network, allowing for more in-house development of services without additional equipment vendor costs. Leveraging the existing knowledge within the company also reduced costs associated with staffing. The result was that Free was able to launch a “bring your own device” service with unlimited calls in France and to 100 other countries; unlimited SMS and MMS; 50GB of data (reduced speed after 3GB); and coverage for bundled calls and data in 35 countries, all for less than €20/month. Subscribers to Free’s existing triple-play service can purchase the bundles for €16. There are no contract terms, and Free manages churn by providing the best possible value to its consumers. In the first two years of operation, Free Mobile acquired 13% of French mobile subscribers and had a massive impact on average revenue per user earned by the incumbents. Average Arpus in France declined by 27% after the launch of Free, forcing the other three networks to look for efficiencies and even consolidation. A definite win for consumers, and a shake-up of traditional thinking! Although the South African mobile landscape is not identical to either the US or France, there are some major similarities. Consumers consider a lot of what is paid to their mobile network a grudge purchase, because packages are difficult to understand, and they are definitely not consumer friendly. Mostly, these packages include voice calls and SMS bundles that consumers simply do not need or want. If Telkom Mobile can manage to scale its network along with the influx of subscribers, it has a real opportunity of changing the local mobile network market in a big way. However, it must be remembered that part of the value proposition is the quality of the network, and this is something that cannot be evaluated after some time. Many consumers have bad memories of Cell C’s inability to scale after offering competitive contract rates. Telkom Mobile only has around 2,6m subscribers at the moment, a fraction of the size of Vodacom and MTN, and significantly fewer than Cell C. In addition, many of those subscribers are so-called “fixed-mobile” customers using Telkom’s LTE data services as home connections in lieu of unavailable DSL or fibre offerings. Its network investment has also lagged its competitors, so it remains to be seen whether an uptake in subscribers can be accommodated by the existing network. Telkom does have some competitive advantages, though. 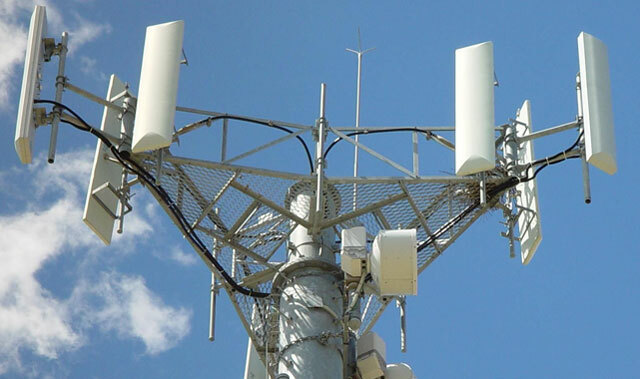 It has the largest fibre network in place for backhaul; and it has significant assets in terms of national and international connectivity. Whether these assets will be sufficient in the retail mobile communications space remains to be seen. What is also interesting about the Telkom programme is that the company is doing something that other networks have shied away from: it’s embracing its position as a utility. Telkom is not trying to be something it’s not, overlaying services that consumers don’t need (because third-party solutions are usually better), instead focusing on its core business of connectivity. There is no shame in being the pipe, and the big two networks still need to learn that lesson. If nothing else, the data-focused packages that Telkom is offering are disruptive in a market that hasn’t really changed its product much in the past 20 years. Hopefully we’ll see a reaction from the duopoly of MTN and Vodacom. A little more awareness of the customer value proposition from the two would be nice for a start. Yet no one is mentioning the fact that most of South Africa will use the MTN towers since Telkom’s own network isn’t available. This means roaming and therefore data usage and non of the freebies will work since it’s limited to Telkom’s on network usage. Pretty useless then unless you are somewhere in Gauteng or other major cities. > There is no shame in being the pipe, and the big two networks still need to learn that lesson. Although you will be limited to 3G on MTN’s network, all the other “freebies” will still work as far as I’m aware. I have an existing Telkom data SIM and it roams happily on MTN with no additional charges. I advise all people to shop around at renewal/upgrade time of their cell contracts. I have been with one of the big companies since the nineties and WILL change at my renewal, due to extreme overcharging. The calls and data apparently work on the roaming network. Only thing not available on roaming is LTE, but 3G data and free Telkom Mobile + Telkom Fixed calls are available. That’s not what the Telkom employee told me over the weekend when I asked him. He said as soon as you go onto roaming you loose the on-network benefits and roaming deductions are made against your data / free minutes or you pay roaming fees if you don’t have free minutes. That’s the main reason why I didn’t bother any further since I’m on the road a lot where Telkom have no footprint at all. I think that your post highlights a real challenge that Telkom has: their customer pre-sales and post sales support is abysmal. I’ve had to explain to consultants in a Telkom store that they can sell me the product that I want. i.e. a month-to-month SIM-only data contract. >the big two networks still need to learn that lesson. “Dumb” pipe is a bit of a misnomer, and it has such negative connotations for the telcos that it is almost always a bad idea to use it. The fact is that a provider can be a utility without being just a dumb pipe. There are a number of buzzwords coined – “smart pipe”, “happy pipe” etc. which talk about how engineering expertise and service delivery can be focused on delivering the best utility service, rather than adding extraneous services like content.